Bond 24 October 23 2015 . 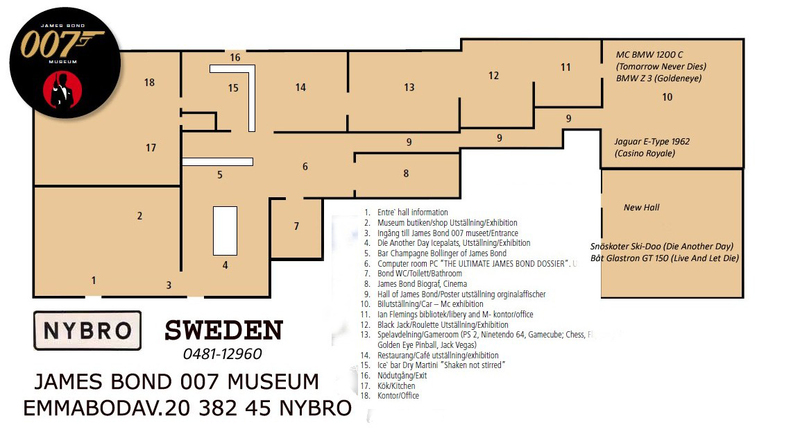 James Bond 007 Museum Sweden, Nybro. The 007 museum over 800 sq. "I met the producers of the Bond series, Barbara Broccoli and Michael G. Wilson," said Sovena, "and we discussed the project. One of the key scenes, among the most spectacular in the film, will be a car chase in Via Quattro Fontane. I'm already excited. I hope that the City streamlines the procedures for the granting of permits, it would be a shame to miss this great opportunity because of the bureaucracy." Above: The Quattro Fontane (the Four Fountains) is an ensemble of four Late Renaissance fountains located at the intersection of Via delle Quattro Fontane and Via del Quirinale in Rome. Bond will be behind the wheel of a brand new Aston Martin for the chase. +Dutch-Swedish cinematographer Hoyte Van Hoytema will be behind the camera for the 24th James Bond film.